When I was a tween, my mom worked at a prison in Connecticut. She calculated the payroll for the correctional officers at a facility imprisoning male inmates. Listening to my mother talk about her job, my thoughts often wandered to the inmates’ lives. How did they deal with daily confinement? What would life be like for them when they were released? How did their families deal with their imprisonment? I naïvely thought that if inmates were incarcerated, they must have committed the crime. I mean, our courts don’t convict and imprison innocent people…we live in a democracy that believes defendants are innocent until proven guilty…right?? Years later, I discovered the massive disparity in incarceration rates between whites and people of color, particularly African-Americans who face discrimination on a daily basis. African-Americans are pulled over by cops and arrested more frequently, contend with greater conviction rates and suffer harsher sentences than white people. This doesn’t sound like justice to me. And it’s not; it’s blatant racism fused with classism. Yet I still clung to the belief that justice would prevail. That spark of hope was snuffed out last Wednesday, September 21st, the moment I heard Troy Davis had been executed. Troy Davis was convicted of shooting Michael Cooper, assaulting Larry Young and murdering Mark MacPhail, a white off-duty police officer, in Georgia in 1989. Up until his last moments alive, Davis professed his innocence, telling MacPhail’s family to “look deeper” into the case. For over 20 years, Davis fought for his freedom. A week has passed since Troy Davis’ death. It still haunts me as I’m sure it haunts the numerous people whose lives he touched. Last Wednesday commemorated World Peace Day, ironically the day a potentially innocent man was executed. 1. We need to speak up for human rights and fight against systems of oppression. 2. The death penalty is not synonymous with justice and must be abolished. 3. If the U.S. wants to police the world and preach democracy, we need to start by setting an example in our own backyard. 4. For those politicians and citizens who claim to want smaller government, there is nothing bigger than entrusting the government to execute an individual. 5. 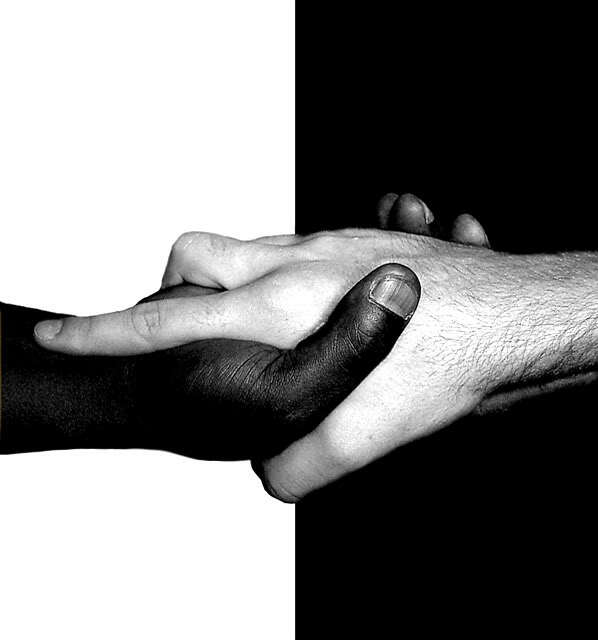 We do not live in a post-race U.S.; racism plagues our society. 7. The criminal justice system is not infallible. 8. Justice doesn’t always determine who’s convicted and who walks free; the color of our skin and the money in our bank accounts often does. We’re so quick to judge and condemn, not taking into account oppression such as racism, sexism, classism and ableism. 9. One person can make a difference. The whole world watched on the night of Davis’ execution. In addition to Georgia and DC, protests sparked in Paris, London, Dublin, Hong Kong, Mali and Peru. I was awed by the global outpouring of support for this one man whose personal struggles symbolized the U.S.’s crumbling criminal justice system, exposing its prejudiced flaws. 10. Love, we need to remember its power. I hope she’s right. I hope someday, we are better than this. Tags: crime, human rights, race, Troy Davis. Bookmark the permalink. Great one, Megmo. While this is till “a novel” it’s heartfelt. As a black woman, I must admit, I didn’t grieve for Troy Davis. In so many ways, the way things ended up didn’t surprise me. While I saw so many people taking action and voicing their opinions about this injustice, I couldn’t help but wonder why people thought that would make any difference. I guess I’m void of hope. I’m beginning to think (when it comes to race relations in America) hope is a dangerous thing to have because it will always puts you in a position where you are disappointed. I just don’t have the emotional fortitude for hope. We have white leadership who are so used to getting things off of white privilege (as opposed to merit), that is scares them to even talk about racism. And on the other hand, we have some black people that won’t even recognize that racism is still an issue until someone like Troy Davis is thrown in their face. Yeah, I didn’t grieve for Troy Davis. I sent up a prayer and kept it moving. My heart is numb from the Tuskegee syphilis experiments, the death of Medgar Evers, Emmett Till, George Junius Stinney Jr., Lena Baker, all those who African Americans who died in the Rosewood Massacre, James Byrd, Jr. and on, and on, and on. White people have established American in a way that puts people of color at a disadvantage and while this is OUR country (together) the only right we (as people of color) have is to live in it. It’s just sad.